Stunning views, super location, great decor, and I particularly liked the coffee maker. Our family of four had a great time in this apartment, and we were sad to leave. This place had a great location right in the heart of Queenstown, with an easy walk to everything. Fantastic views - lovely deck - spacious bedrooms and living areas and great location. Very modern and clean apartment with plenty of space. Great location. On entering having music and fire on was welcoming and felt like a home. Location fab and decor of apartment was lovely. Spa was such a added bonus and beautifully located with amazing views. Superb location, well appointed, outdoor spa, eye watering views, plenty of room for 3 couples. 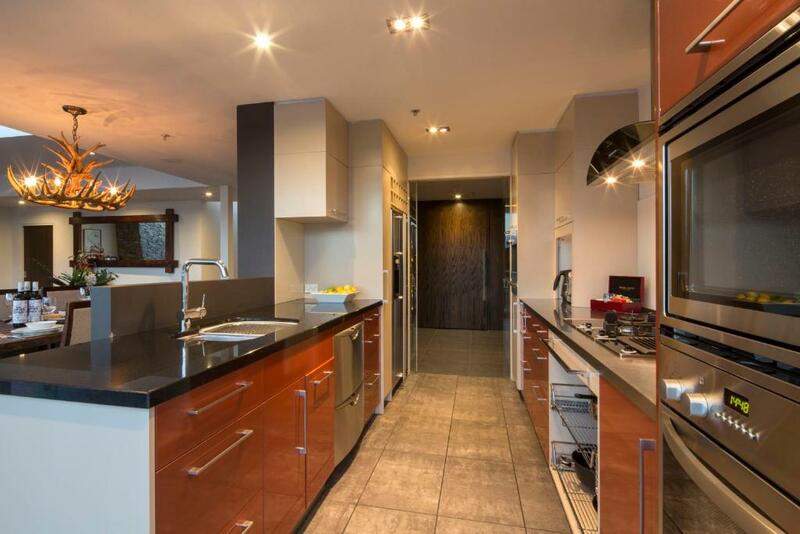 Central to everything Queenstown has to offer all in walking distance. Parking bay was secure, could leave our ski gear on roof racks at night. 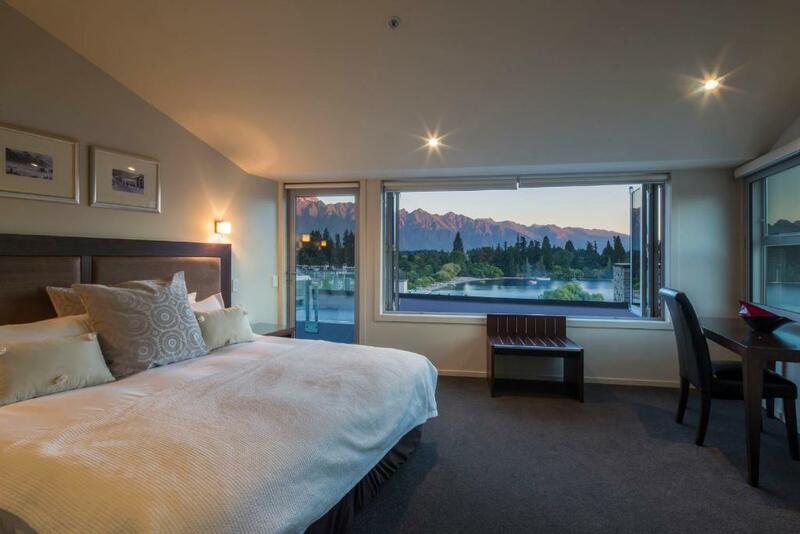 Lock in a great price for Shotover Penthouse & Spa – rated 9.2 by recent guests! Located in Queenstown, this apartment features a terrace and a garden with a barbecue. The apartment is 650 feet from Skyline Gondola and Luge. Free WiFi is provided and free private parking is available on site. There is a dining area and a kitchen complete with a dishwasher, an oven and microwave. A TV is offered. 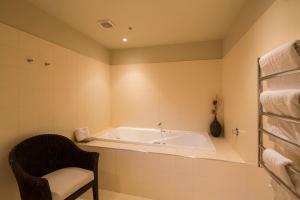 Other facilities at Shotover Penthouse & Spa include an outdoor hot tub. 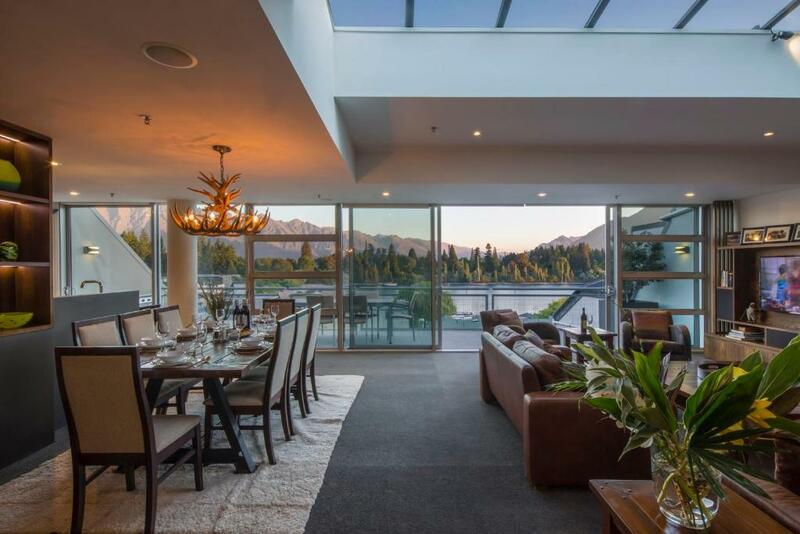 Shotover River is 0.8 mi from Shotover Penthouse & Spa, while Kawarau Bridge is 3.7 mi away. The property has ski storage space and bike hire and car hire are available. 뀐 Located in the top-rated area in Queenstown, this property has an excellent location score of 10.0! When would you like to stay at Shotover Penthouse & Spa? This apartment features a relaxing balcony with BBQ facilities. In winter you can soak in the hot tub after a day on the slopes, while you gear dries in the private drying room. 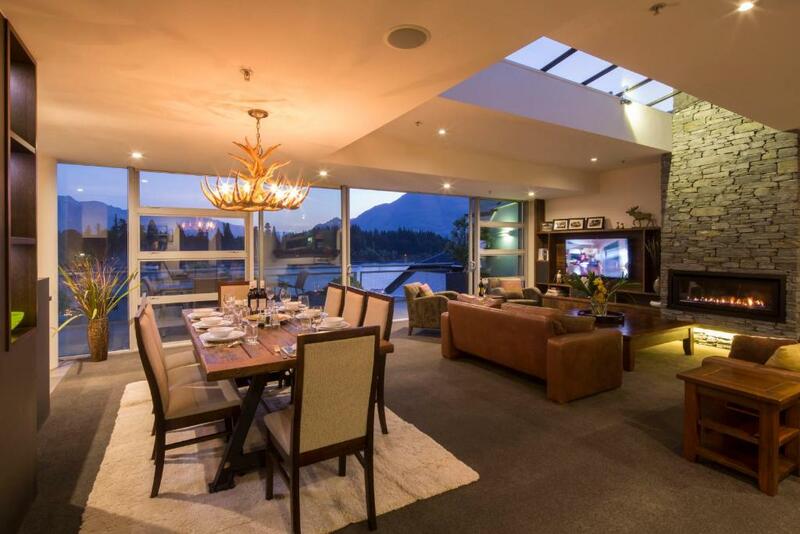 Shotover Penthouse is ideally located to explore the Queenstown region with award winning restaurants, shops and galleries just steps from your front door. If booking activities; most operators will collect you directly out front. Ski buses and mountain transport are only a 2-minute walk away and if self-driving, having your own free garage space means parking is never an issue. This apartment is a perfect all year holiday option for families or a group of friends here to enjoy Queenstown and all it has to offer. Spend long summer evenings barbequing or lounging on the balcony. 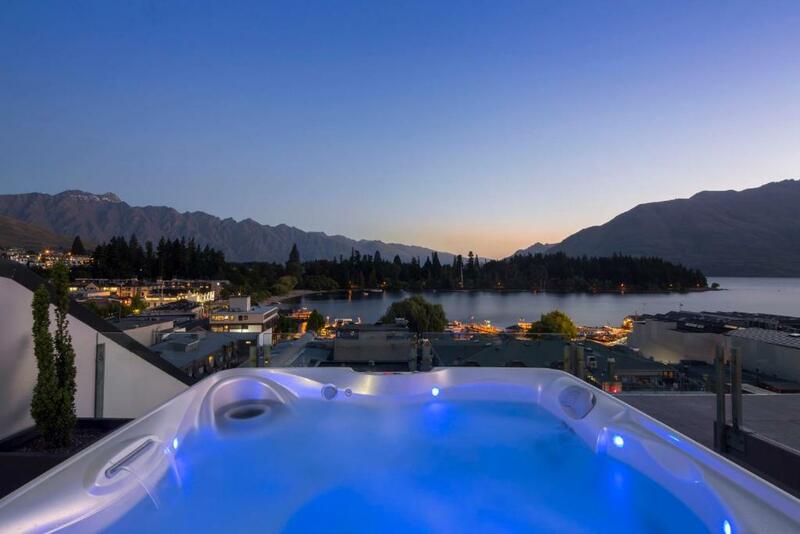 In winter; come down from the ski fields to soak in the Jacuzzi overlooking the twinkling lights of Queenstown Bay while your winter gear dries and warms in your own private drying room. 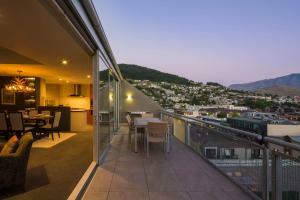 Staysouth - We are property managers who specialise in luxury apartment and villa holiday rentals in Queenstown. Boasting an impressive portfolio of over 40 properties scattered throughout Queenstown, we stand out from the rest as we are all Queenstown locals who offer years of experience and knowledge of the tourism industry and Queenstown itself as a destination. 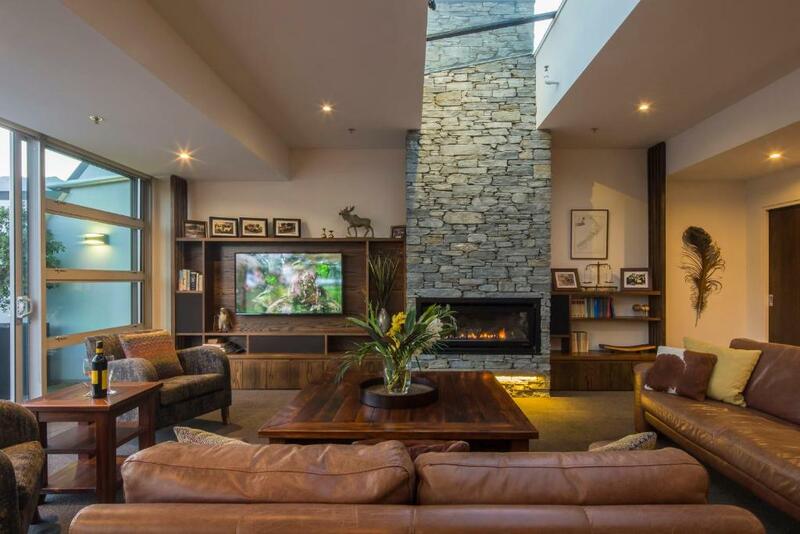 Located in the heart of downtown Queenstown, Penthouse guests have the luxury of everything at their doorstep, from local restaurants and bars to all of Queenstown’s adrenaline fuelled activities. Although the Penthouse has the convenience of its own free private park there is no need to drive when you are staying right on Shotover Street! House Rules Shotover Penthouse & Spa takes special requests – add in the next step! A NZD1000 damage deposit is required 7 days before arrival (about USD667.70). This deposit will be fully refunded 7 days after check-out, as long as there isn't any damage to the property. Shotover Penthouse &amp; Spa accepts these cards and reserves the right to temporarily hold an amount prior to arrival. Shotover Penthouse & Spa accepts these cards and reserves the right to temporarily hold an amount prior to arrival. Please note that this property has no reception. Please contact the property in advance for further details, using the contact details found on the booking confirmation. The property will also email you instructions for check in. Please note that there is a 3% surcharge when you pay via credit or debit card. Please note that this property requires all guests to provide a valid credit card for a security bond pre-authorization of NZD 1,000 per apartment to cover any damage or incidentals. The funds will be released upon inspection of the apartment. Should the cost for reparations exceed the bond amount, Staysouth reserves the right to charge the card supplied at booking/bond payment. lease note that this property has a strict 'No Party Policy'. Please note that the accommodations will not be serviced for the duration of your stay, except if your stay is for 8 nights or more, in this instance a free mini service is included. You can request daily housekeeping service at an extra charge. Please inform Shotover Penthouse & Spa of your expected arrival time in advance. You can use the Special Requests box when booking, or contact the property directly using the contact details in your confirmation. A damage deposit of NZD 1000 is required. The host charges this 7 days before arrival. That's about 667.70USD. This will be collected by credit card. You should be reimbursed within 7 days of check-out. Your deposit will be refunded in full by credit card, subject to an inspection of the property. Everything was amazing, but if I was going to nitpick, I'd suggest having bathrobes for cold evenings in the hot tub. Beds were a bit uncomfortable. It would be useful to try and find a solution when having to join beds together. Sheets also felt a bit weird. We thought the coffee machine would’ve been filled with coffee Beans but wasn’t.